Got an email from them this morning. 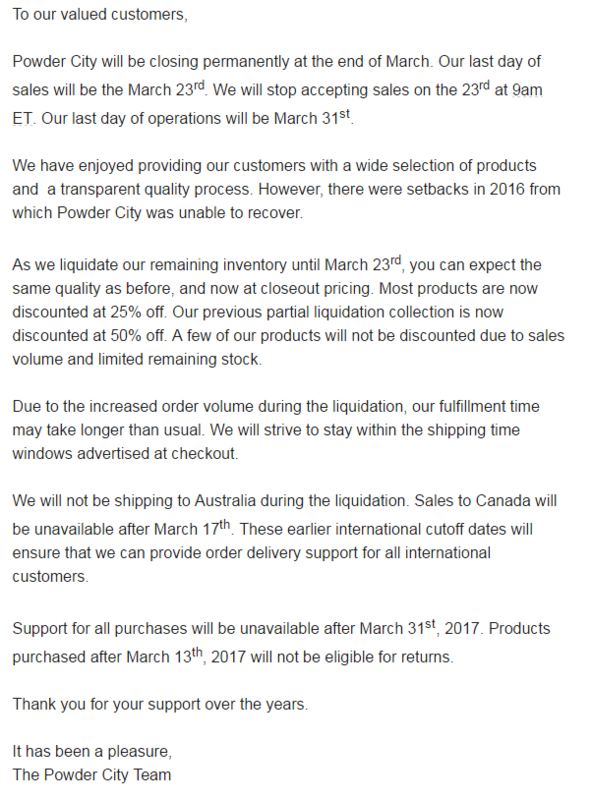 Looks like they are closing forever on March 31st. They were one of my favorite suppliers. Great prices, fast shipping, safe stuff. ATTENTION: Get 25% off most things with this coupon: TAKE25. 50% off clearance items.